Summer is fast approaching, and that means our annual Summer Reading Program is just around the corner! 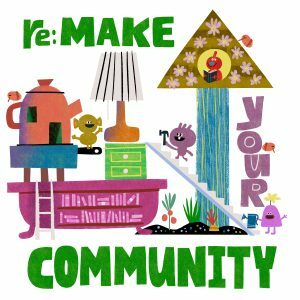 This year's theme, re:Make Your Community, is all about community and what it means to YOU! Please watch this short video to learn more about this year's program -- from setting a Reading Goal to our popular BINGO Activity Log! And don't forget, Summer Reading is for EVERYONE -- kids, teens, and adults! Please join us for our Summer Reading Kick Off Party on May 20th from 2PM-4PM! Our full line up of Summer Reading Program events can be found hereopens a new window. For every FIVE BINGO activities you complete, stop in at the library for a BINGO badge! And a BINGO Blackout gets you an extra special badge! We look forward to seeing you at the Library soon!